Fashion umbrella with polished wooden crook handle. 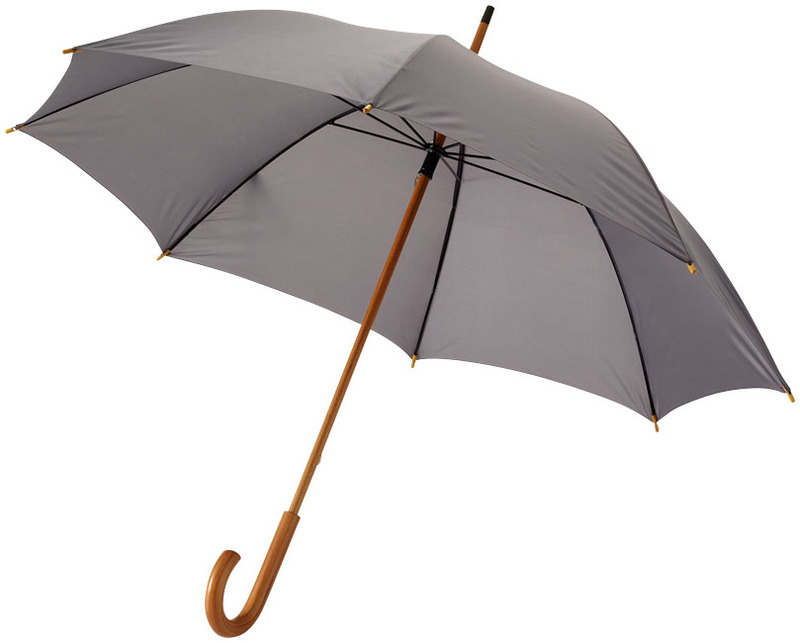 23'' Classic umbrella with wooden handle, wooden shaft and metal ribs – polyester fabric. Colours available: Black, navy, burgundy, grey and white. Unit price for 30 € 9.50 / Unit price for 60 € 9.00 inclusive on a one colour print on one panel.